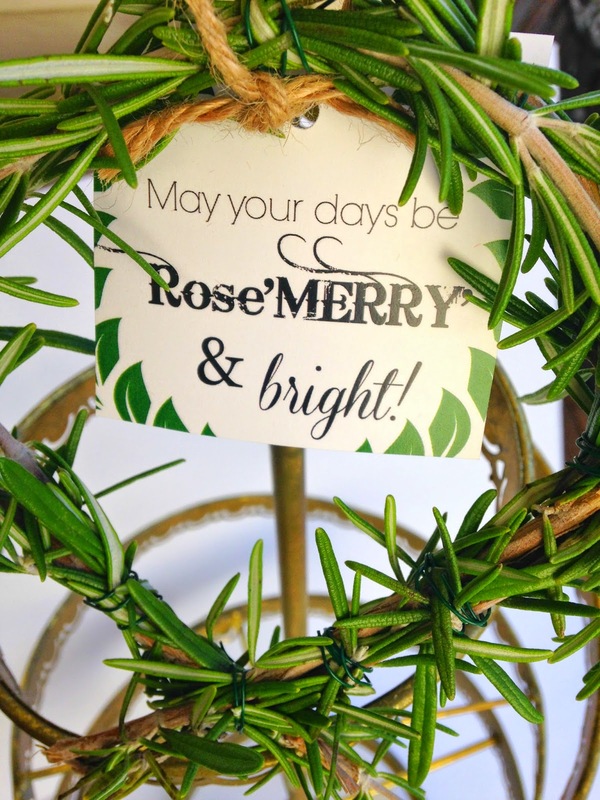 I've crafted up some simple rosemary wreaths for gift-giving. 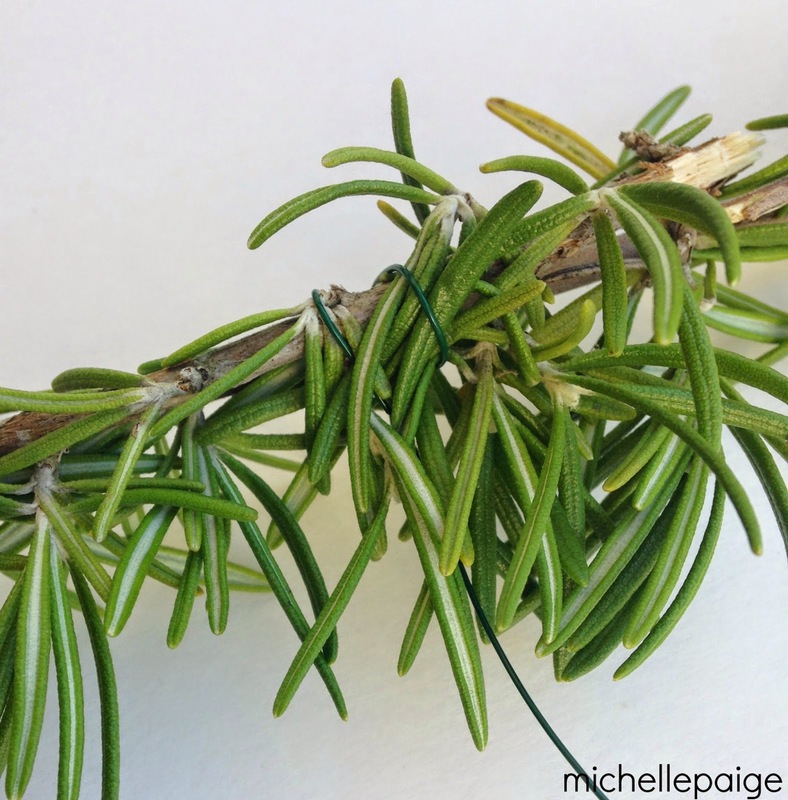 I love the smell of rosemary. It's so fresh and comforting. These wreaths are a sweet little gift to put on top of packages or give alone. They're amazing in the car, too! 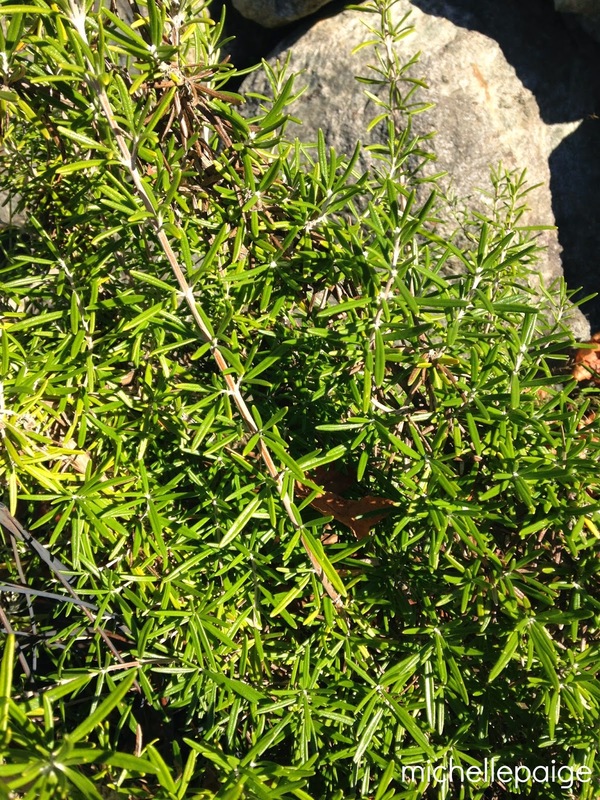 It just so happens that I have an out-of-control rosemary 'bush' growing in my yard. It's a bit thick, big and overgrown, but perfect for making wreaths. 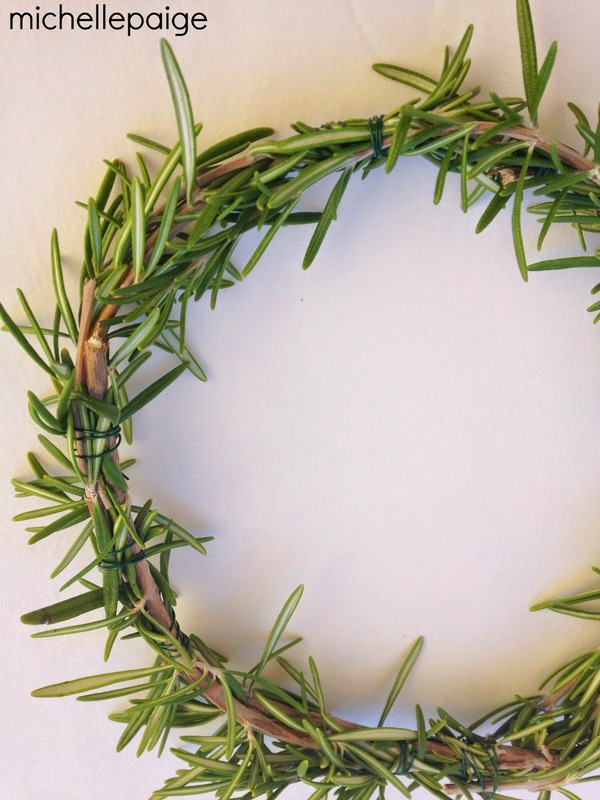 You could easily make these wreaths with fresh (tiny) rosemary stems purchased at a nursery, as well. 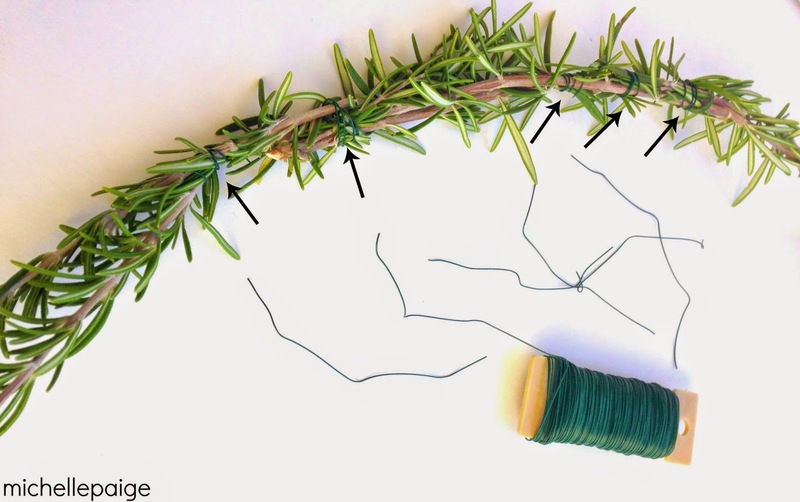 To assemble, you'll need lots of rosemary stems and green-colored, light gage wire. Begin by cutting small pieces of wire...about 3-4 inches long. 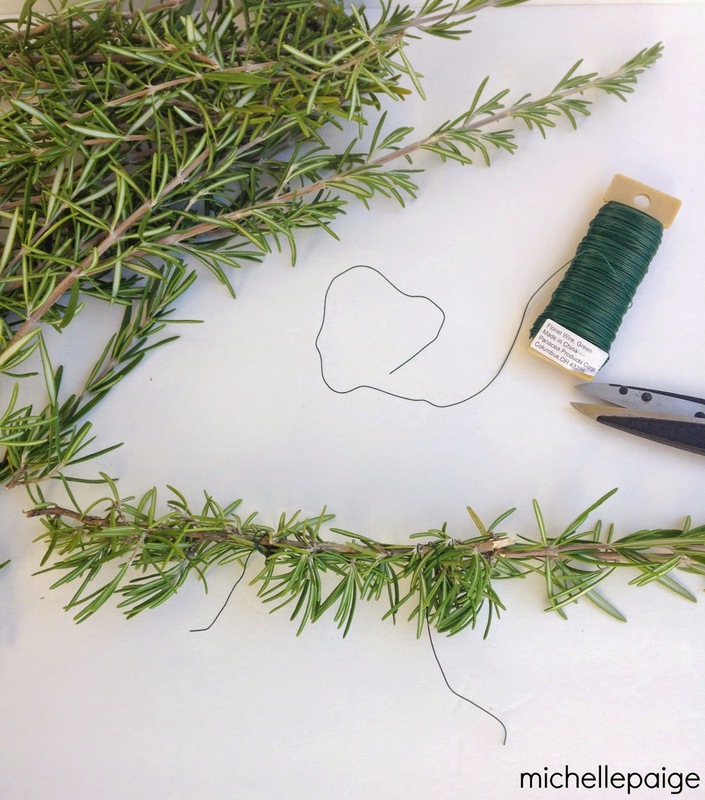 Overlap the rosemary pieces, wrapping the wire around the ends to hold it together. Every time there is a loose end, wrap it up in wire. Don't be afraid to use lots of wire to hold the stems together. Thankfully, the green wire disappears into the wreath. 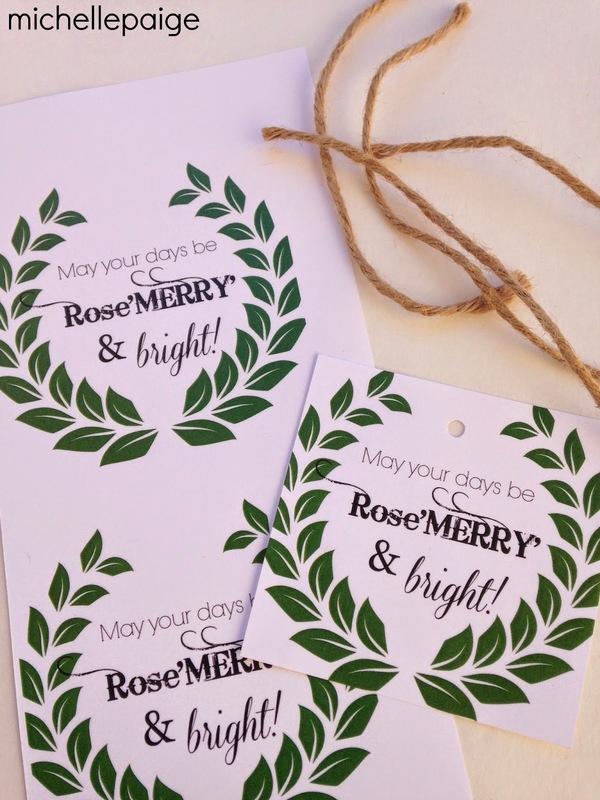 Print out the Rose'Merry' tags and attach them to the wreath. Cut them down to any size, hole punch and tie on with a ribbon. Add a festive ribbon for hanging. The wreath will keep for about 4 days. After that, it completely dries out and starts to shed...although the smell is still amazing during and after the shedding, you'll want to gift the wreath very soon after you create it. 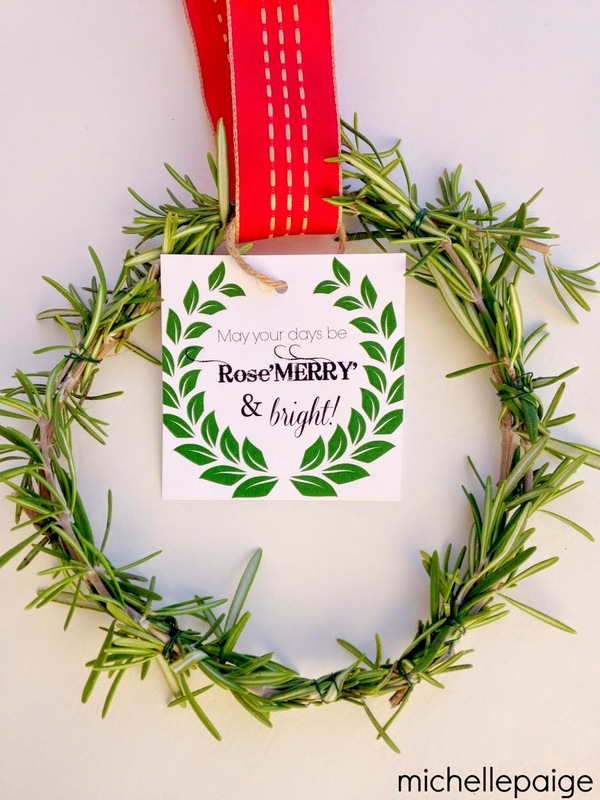 Have a very rose'merry' day! 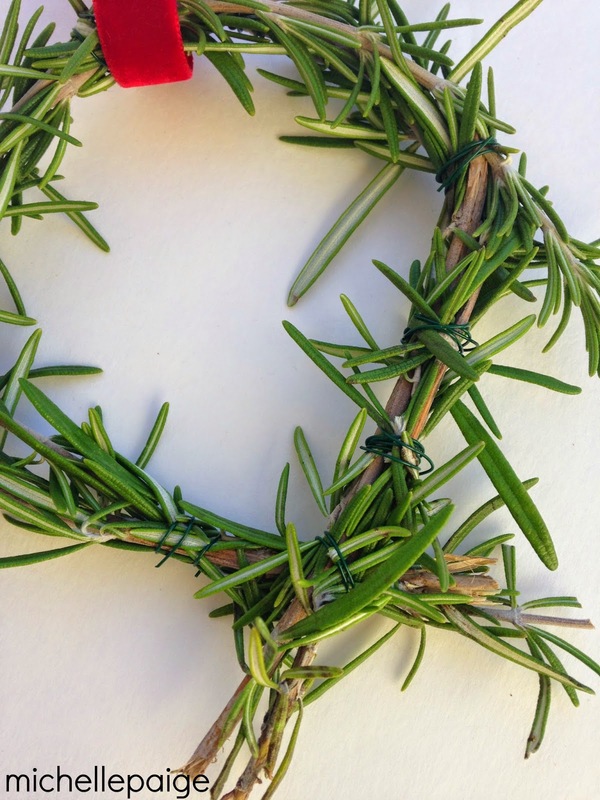 I too love rosemary! 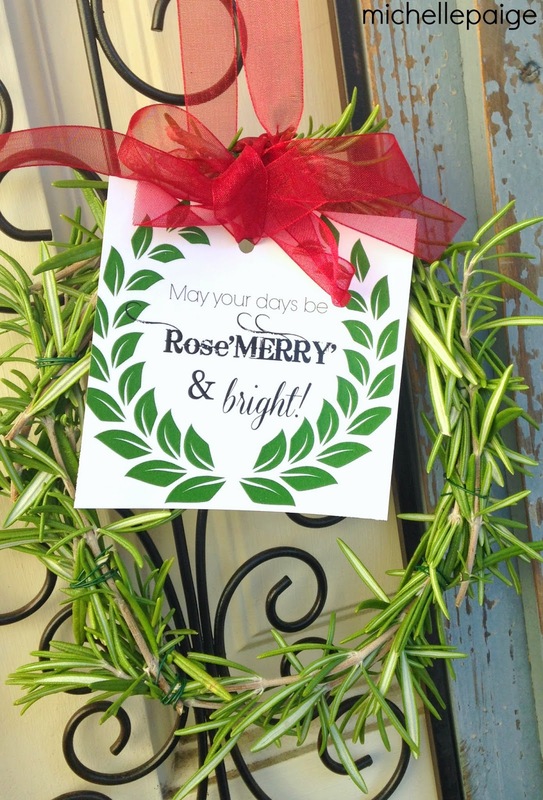 Love the wreath and tag. I SERIOUSLY love this idea MIchelle!